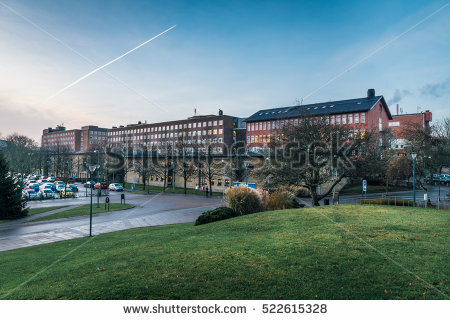 Chalmers University of Technology, Sweden has an opening PhD position in signal processing. Successful candidate will have funding to work and study for five years in Sweden. The deadline for applying is December 31, 2018. The project aims to develop an enabler technology (within the field of millimeter wave radar sensors) for future autonomous cars with improved active safety systems, which will reduce road fatalities. The automotive radar antenna designs will be performed within the frequency range 77GHz and 140GHz. The design will include circular polarized slot array antenna and linear polarized conformal arrays. The gap waveguide based slot array will be designed using multiple metal layers where there is no need for electric contact among the metal layers. This relaxes the mechanical constrains regarding the assembly of the complete slot array, thereby making the gapwaveguide based slot arrays cheaper compared to the conventional waveguide based slot array. Cross-disciplinary approaches, including the fields of electromagnetics, structural mechanics, and manufacturing technology are required in order to find the right balance among performance, cost, and automotive adaptation. Research results are expected to improve the performance of the future generation automotive radars in terms of angular resolution, field of view (FoV), interference suppression from nearby car radar etc. This PhD project is part of the research collaboration between Chalmers and several industry partners. The project has been funded by VINNOVA within the Trafikskerhet och automatiserade fordon – FFI – 2018-06-12 program under the project “Hardware For Next generation Millimeter Wave Automotive Radar Sensor, FORWARD”. This is an area of dramatically growing importance. The PhD student will be enrolled in a doctoral programme of Chalmers and is jointly supervised by supervisors from the academic and industry sectors. Your major responsibility as a PhD student is to pursue your own doctoral studies related to the project. This includes developing new scientific concepts, doing electromagnetic design, measurements of the hardware etc. and communicating research results both verbally and in writing. In addition to the research project, you will also take advanced courses relevant to the project within Chalmers' graduate schools or at other Swedish institutions. The position may also include departmental duties, such as teaching, corresponding to about 15-20 % of working hours. Full-time temporary employment.The position is limited to a maximum of five years. Qualifications Applicants should have, or expect to receive, a Master of Science degree or equivalent in a relevant electrical engineering or applied physics discipline with focus on microwave engineering. In addition to the formal qualifications, selection is also based on the performance of the candidates in other works (e.g. thesis and advanced level courses), as well as through interviews and assignments. Besides good subject knowledge, emphasis will be on creative thinking, motivation, ability to cooperate, initiative to work independently and personal suitability for research training. Previous experience in the area of antennas and electronics as well as proficiency in using scientific and engineering software packages such as Matlab, CST, HFSS etc. are meritorious. The application should be marked with Ref 20180643 and written in English.